On an early November evening, Reid returns from Orvis Sandanona with Gun Room Manager Greg Carpiniello. Recorded on a mobile unit that captures the sound of rain on the windshield, the two discuss the Orvis assortment of shotguns, and how it was arrived at. Gun talk, Orvis talk, and a peak behind the scenes of Orvis gun sales. Enjoy. 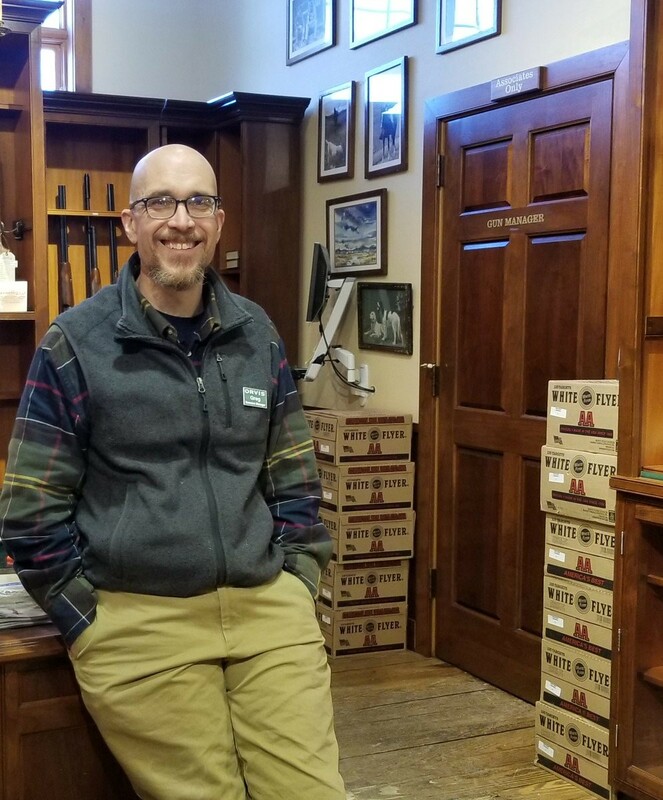 Greg Carpiniello in the Orvis Gun Room in Manchester, Vermont.